While 2018 is technically the year of the dog, in the ski industry, it appears to be the year of the lightweight, 130-flex touring boot. 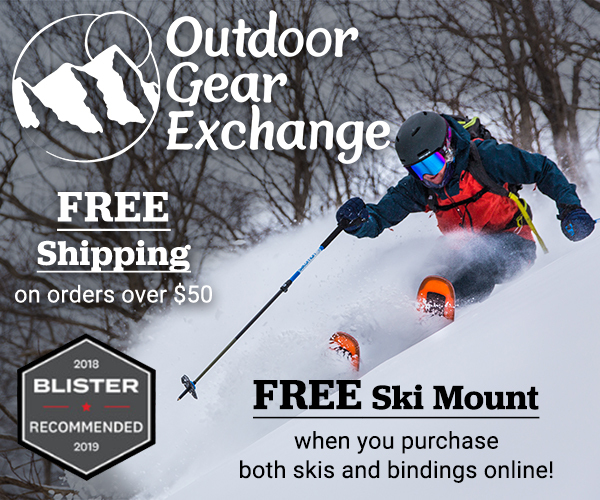 For the 18/19 season, we’ll see additions to this category from Fischer, Tecnica, Full Tilt, Lange, Rossignol, and Head. 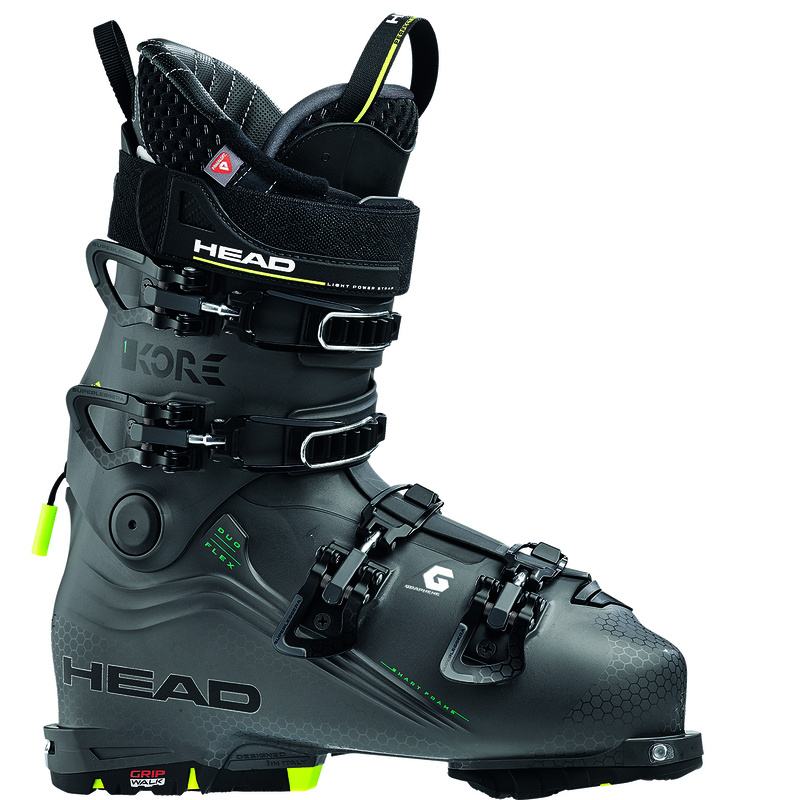 Head’s offering is their brand-new Kore line of boots, consisting of the 130-flex Kore 1 and 120-flex Kore 2. We’ve already spent some time on the Kore 1, and Blister Members can check out our Flash Review for our initial on-snow impressions. 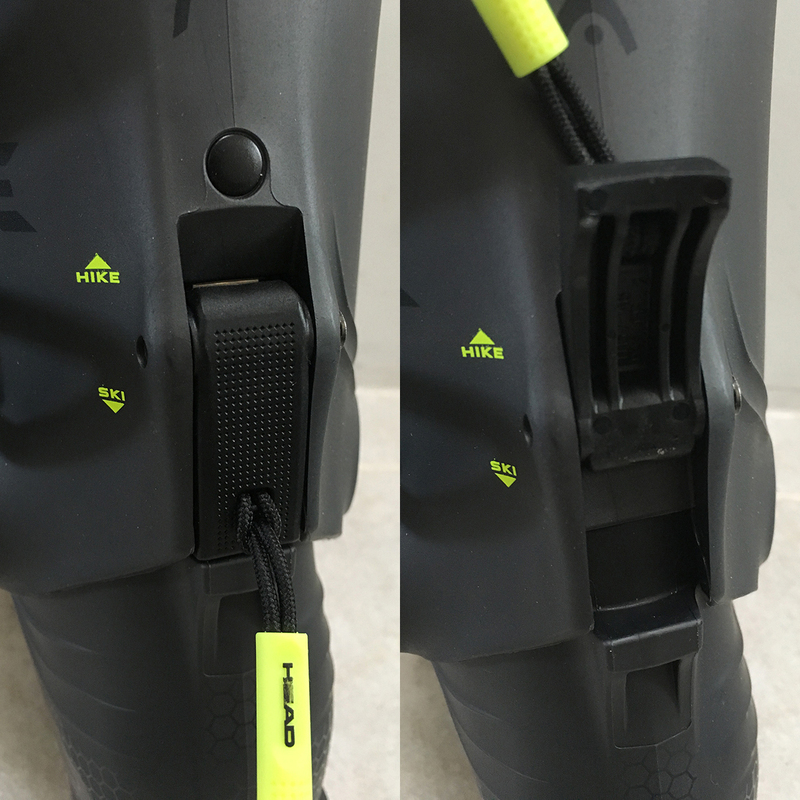 But while we spend more time skiing in the boot, let’s check out the features and fit of the Kore 1. The Kore 1’s liner is one area where it definitely differs from many other boots in this category. First, it’s just a pretty beefy liner compared to those in other touring boots such as the Atomic Hawx Ultra XTD 130 and Tecnica Zero G Tour Pro. The ankle area of the Kore 1’s liner isn’t as thick as most alpine liners, but the cuff of the Kore 1’s liner feels pretty substantial. The Kore 1’s liner also features the standard flex bellows on the back for touring mobility, as well as a removable plastic spoiler that attaches to the liner via a velcro patch. Second, the ankle area of the Kore 1’s liner is thermoformable, which should help people get a better fit in that area. Lastly — and this is where the Kore 1 is unique — the liner is compatible with a technology that Head is calling “Liquid Fit.” Essentially, Liquid Fit allows you (with the help of a bootfitter) to inject an incompressible paraffin material into the heel and ankle area, with the goal of a more precise fit as the paraffin should fill open areas. You can add or remove the paraffin at any point to adjust the fit to your liking. The liner is designed to work without the Liquid Fit additive, but if you’re looking for a more personalized fit, you can go to an authorized bootfitter to purchase the material and have a bootfitter inject it into the liner. The Kore 1 has a simple walk mechanism that consists of a plastic tab that blocks rearward flexion by slotting on top of a protrusion on the spine of the boot. Forward flex / ROM is controlled by the shell and buckles. The walk mechanism includes a pull tab that’s easy to grab with gloves, and while messing around with the boot at home, the walk mechanism seems easy to use so far. Simply flex forward in the boot, and push the tab into place or flip it up to switch between modes. One thing we’re curious about with this walk mechanism is potential icing issues, since the Kore 1’s walk mechanism doesn’t have any sort of extra hook or latch to keep it secured like the walk mechanisms on the Hawx Ultra XTD, Zero G Tour Pro, and Scarpa Maestrale RS. It seems as though ice / snow could get between the tab and the spine of the boot, so we’ll be keeping an eye on this. All four buckles on the Kore 1 are attached with phillips-head screws, which should make replacement and adjustment very easy. The two upper buckles each have a metal clasp that wraps around the standard latches (the silver oval in the picture below), which you can use to keep the buckles from coming fully undone. This is an interesting way of addressing the issue, as most other boots just add an extra, extendable latch to serve the same purpose while touring. We’ll see how useful the Kore 1’s latch is in the field. The Kore 1 has a pretty standard, 40 mm velcro powerstrap with a grip at the end. Nothing surprising here. The Kore 1 joins a growing number of boots with GripWalk soles. The Kore 1’s GripWalk soles have the usual hard plastic under the ball of the foot and the middle of the heel to work with the AFD’s on GripWalk bindings, and then rubber around the rest of the sole blocks. Like all GripWalk boots, the Kore 1’s sole has pretty minimal toe and heel rocker, especially compared to the soles on dedicated touring boots like the Zero G Tour Pro. Compared to the Hawx Ultra XTD 130, the rubber on the Kore 1’s soles is less tacky and is firmer, and the Kore 1 does not have any rubber covering the arch / instep area (it only has rubber around the sole blocks). 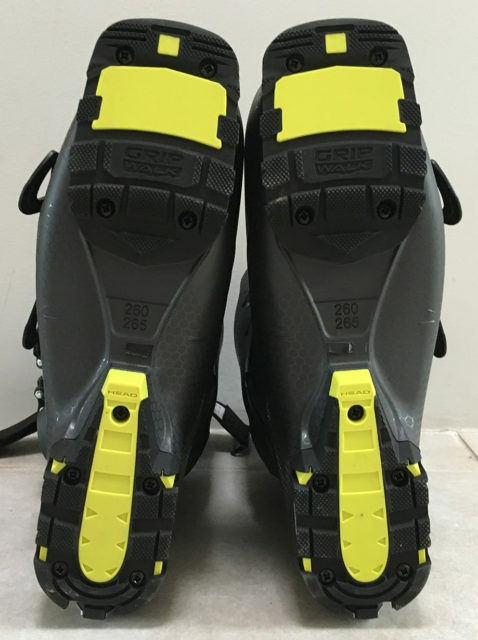 The sole blocks of the Kore 1 are replaceable, and you can purchase standard alpine soles for the Kore 1. The Kore 2 will come standard with alpine soles, with the option to purchase GripWalk soles. We don’t expect the Kore 1 to offer exceptional grip while scrambling, but it should be a bit better than a boot with standard plastic alpine soles. As always, we encourage (read: insist) that you go to a trusted bootfitter to decide what boot will work best for your foot. With that said, Jonathan Ellsworth and I will offer our quick take on how the Kore 1 feels on our feet. I found the Kore 1 to be a very comfortable boot. The liner felt quite plush — in contrast to the much thinner Hawx Ultra XTD 130 liner I skied. The Kore 1 is definitely roomier than the Salomon S/Lab MTN (aka MTN Lab) or Hawx Ultra XTD 130 — tighter boots that I normally ski in — but honestly, I kinda liked the extra room of the Kore 1, and unlike the Fischer Ranger Free, I didn’t blister on the inside of my heels on the way up from too much rubbing / moving. Out of the box, with no adjustments or boot work, we’re off to a good start here. I personally still prefer a tighter, lower-volume fit, but lots of ski tourers prefer more room and plushness. If you’re one of them, I give the Kore 1 high marks for comfort. Luke Koppa: I have a pretty average-width foot, but have large lateral splats that often cause pain on the outside of my forefoot and midfoot when running, skiing, skinning, etc. I have a low instep and an average to low arch. My feet tend to work best with boots that offer ample room in the midfoot, and have lower insteps (e.g., the Salomon QST Pro 130). Since my toes taper significantly (i.e., my pinkie toe is much shorter than my big toe), I’ve never needed a 6th toe punch in any boots. Overall, the fit of the Kore 1 feels similar to other boots with stated lasts of 100 mm that I’ve used (e.g., the Nordica Strider Pro 120 and Salomon QST Pro 130). The Kore 1 feels pretty average in the instep area. The Kore 1’s heel pocket holds my ankle / heel pretty snugly, but with a bit of extra room. The Kore 1 doesn’t feel particularly short or long compared to other 26.5 boots I’ve used, and feels like it has enough room in the midfoot and toebox for my foot — but that can change after actually walking around / skiing in a boot for a few hours due to my lateral splats. With the factory buckle placement, the Kore 1’s cuff feels nice and tight on my skinny calves (I often have to move the buckles out on other boots in order to get this tight of a fit in the calf area). 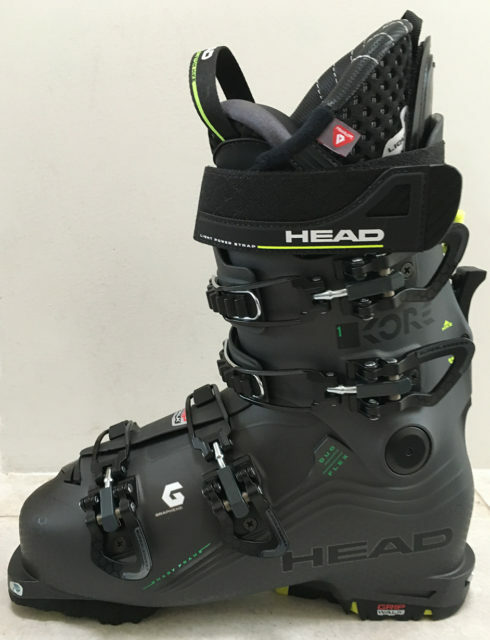 The Head Kore 1 joins a stacked group of boots that are designed to be light and mobile enough for touring, but with downhill performance that’s supposed to be similar to a full alpine boot. The Kore 1’s customizable liner, mid-volume fit, and minimal walk mechanism seem to differentiate it from some of the competition, and we’re eager to A/B it against the many other options in this class. Stay tuned for our full review. Blister members can now read our initial on-snow impressions in our Flash Review of the Head Kore 1. Does Gripwalk offer ANY real ,functional difference over the standard alpine norm or is the ski industry turning into the bike industry? Can I use the boot in an 2014 markee Duke epf 16 the blue orange black one? On the grip walk website it is not really clear. The Kore 1 should work with the 2014 Duke as long as that version of the Duke has the adjustable AFD on the toe piece. The Duke with the adjustable AFD lets you move the AFD up and down to accommodate flat-soled alpine boots as well as boots with rockered soles like the Kore 1. 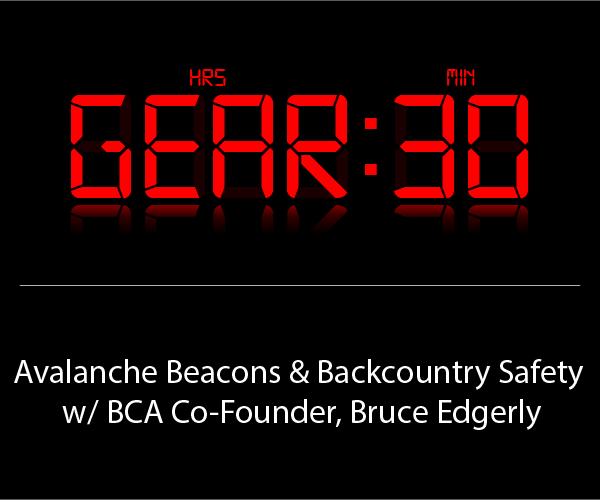 Worried about the walk mechanism, especially as stated, when ice or snow packs in. Any troubles on this aspect?